Picked up just a couple of little things this week, although my big order from Southern Fabric is slated to arrive tomorrow. Do you guys obsessively check the tracking information when you have fabric on the way? I do. I’m not typically into the 30’s color scheme but this line’s colors are more modern. 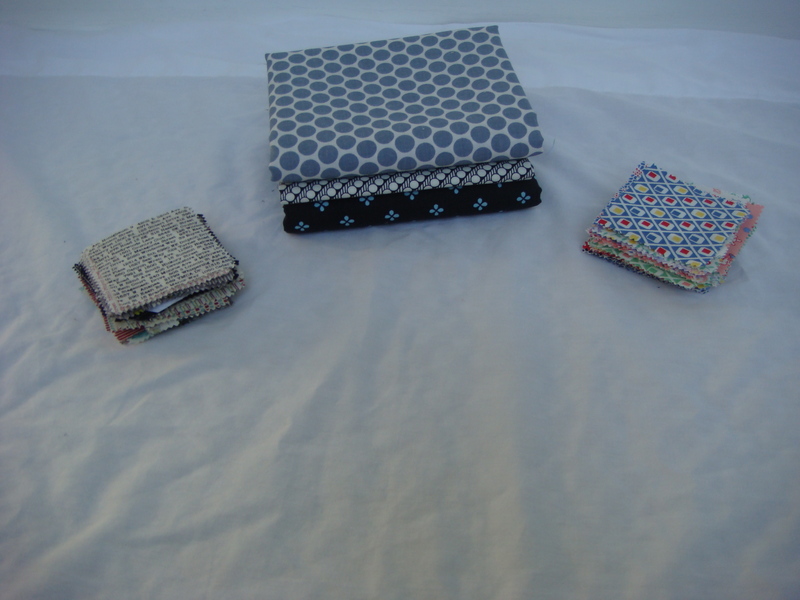 There are a few prints that would make great stash basics, obviously I particularly like the black print of the fat quarter I bought. I actually didn’t realize it was from the same line as the mini charm pack I was buying until I got home. I bought the fat quarter and mini charms at my local quilt shop, Hearts to Holly, and had a nice chat with the owner. It’s an adorable shop and does a pretty good job of stocking some more modern options. They have a fantastic selection of basics like stripes and dots. I really appreciate that. Come back tomorrow to see my sewing space! Linking up with Stash Sunday! Love the black and white print! Navy is really in right now, I don’t have any in my stash. Love the colours …… particularly the grey blue! Have fun. i definitely check the tracker. all the time. all day long. Lovely little stack! And as for the mail tracking, oh yeah! I’ll sometimes keep the site open and refresh repeatedly through the day, especially when it’s getting closer to me! Mildly embarrassing now that i’ve put it out there, but true none the less! I’m another one who doesn’t check the tracking, so I can be surprised… unless I’m starting to get worried! Love your stack today – they really do look gorgeous together! Perhaps something will come together out of them… can’t wait to see! haha, YES! I check my shipping tracking constantly when something is about to arrive. I have a pretty big shipment (for me) coming in soon too and I’m a little overly excited. Yah… my ban on buying more fabric…oops 🙂 I’m excited to see what you have arriving also! 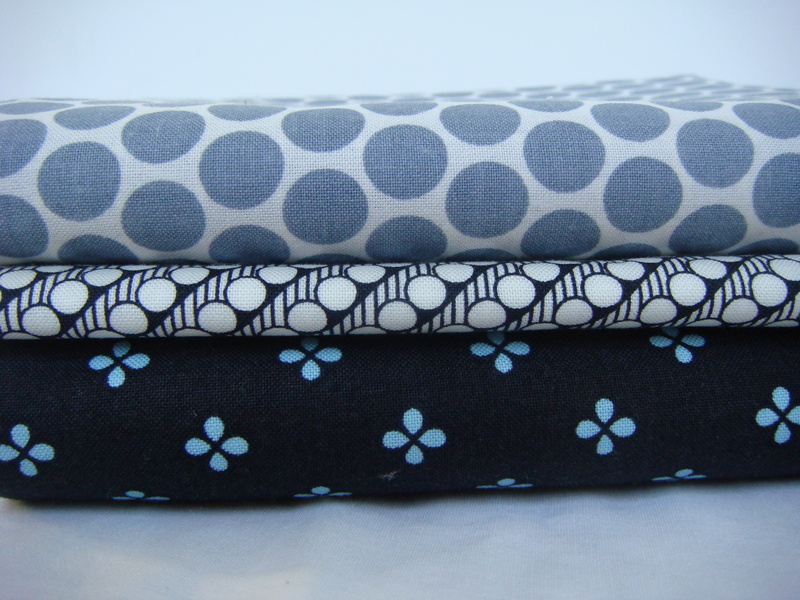 I really like grey blue back combo, those fabrics look modern and timeless.